Gaston Plumbing & Heating is a trusted, professional company dedicated to the highest standards in every aspect of performance, with over 20 years experience in the trade. We are based in East London and cover all surrounding areas within a 30 miles radius. 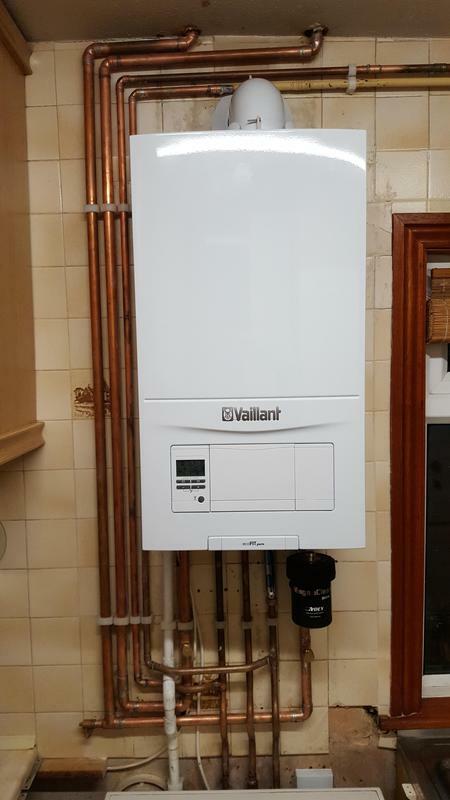 We can undertake all your Plumbing and Heating work and as we are Gas Safe registered (number 188629) our service provides the safest solutions and the highest quality standard of work. "Garfield responded very promptly to our initial request and also offered to come in and assess the situation (pipe leak and some other issues) the very next day! When he came, he sounded very knowledgeable and inspected everything carefully. On the days he was at our flat, he worked very efficiently on all the issues we agreed on and the pricing was reasonable considering all the work he put in! He was also very careful of cleaning after himself. Garfield came as a Godsend after we had a very bad experience with a previous plumber who left us high and dry with lots of unfinished work and existing plumbing work that needed fixing. We will be using Garfield's services again and will be recommending him to friends and family. Thanks Garfield and thanks Trustatrader!" "Out of 5 traders contacted, Garfield was the only one to reply promptly. He kept the appointment times for both the initial estimate and when carrying out the work. He arrived early and worked through until the job was finished (after 6pm on day one). He was friendly and the finished work looks neat and tidy. I would have no hesitation in using him for future projects." "I was looking to get a radiator move to a new location so I searched for a plumber on Trust a Trader. Once I called Gaston Plumbing & Heating they were able to arrange for Garfield to come and do the installation on the same day. I ordered the radiator later that day and we arrange an appointment for him to come round to fit. The job took longer than expected so l ask him is he happy with the fee which has been agreed, where he said that the charge will remain the same. Once he had finished, all of the mess made was cleared up and you could not tell that it was earlier a workstation. I am very happy with the work carried out and will definitely recommend them friends and family. Jamie P"
"I called Gaston Plumbing and Heating almost 10 years ago to replace my boiler. Mr Gaston and his team did a superb job. I have kept his number and have passed it onto many friends and family since then. I have now called him as my boiler has not had a service since he installed it almost 10 years ago. He has since serviced my boiler which was quite bad inside. The boiler had worked trouble free for 10 years but never been serviced. Mr Gaston again he did a superb and professional job servicing the boiler and costs were in line with his estimations. The boiler is working fine, efficiently and am prepared for the winter. My wife and I without hesitation or reservation recommend the services of Gaston Plumbing and Heating. ​"